Fill in your postcode get a skip hire price, simple. Please enter a FULL & VALID Postcode into the box above. Skip hire and Mini Skip hire. As one of the country’s leading nationwide skip hire suppliers for both domestic and commercial use, we aim to make skip hire totally stress free. You can fill in your postcode above and start our secure online order process or call us now on 01763 252 080 to arrange special circumstances such as same day delivery. Fancy a bit of DIY, time to re-landscape the garden, considered knocking down some walls? You need a Mini Skip. Although it is the smaller of the skips that we can offer, it is still robust enough to handle dense materials, yet small enough to slot neatly into any area providing there is permanent access. 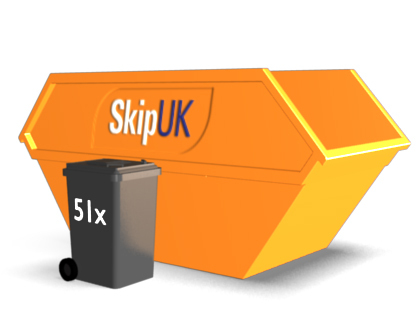 Although not actually much bigger in appearance than the Mini Skip, Small Skips can actually capacitate almost twice as much waste – ideal for the more ambitious project. 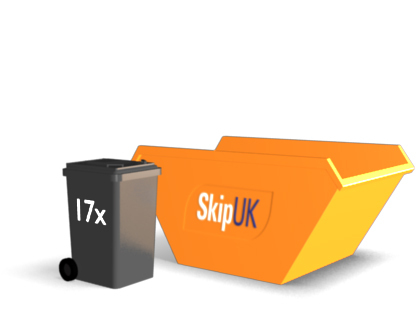 Small skips can usually be located very close to a property and are suitable for almost all kinds of domestic refuse including garden and light building waste. Dispose of all of your building waste in a Builders Skip. Large enough to accommodate quite substantial amounts of waste. If you are embarking on renovation work or quite significant re-decoration, this might be the most suitable skip to suit your requirements. These skips can usually be located on the road outside the property with the relevant permission from the council. These are probably most suitable for projects which will generate the bulkiest of waste. 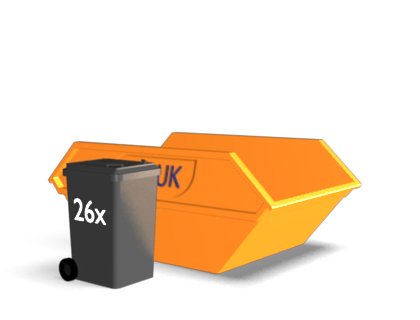 Re-building or major renovations would command bigger refuse facilities and the Large Skip can fulfil this requirement. Permission will be necessary from your local council to locate it on the road side. 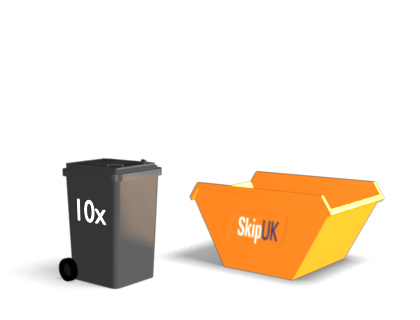 These skips are ideal for bulk rather than density. Due to the size of the skip it would almost be impossible to transfer a skip containing dense waste.